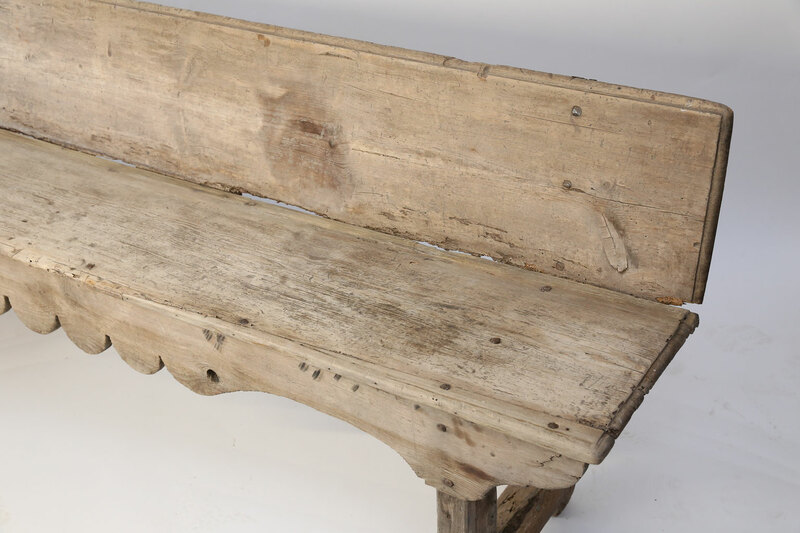 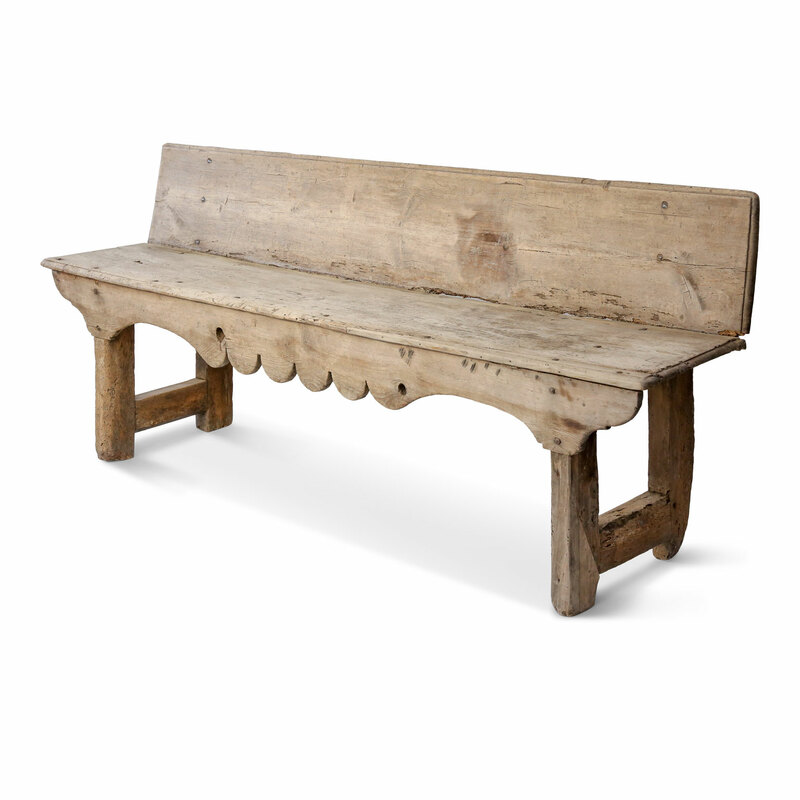 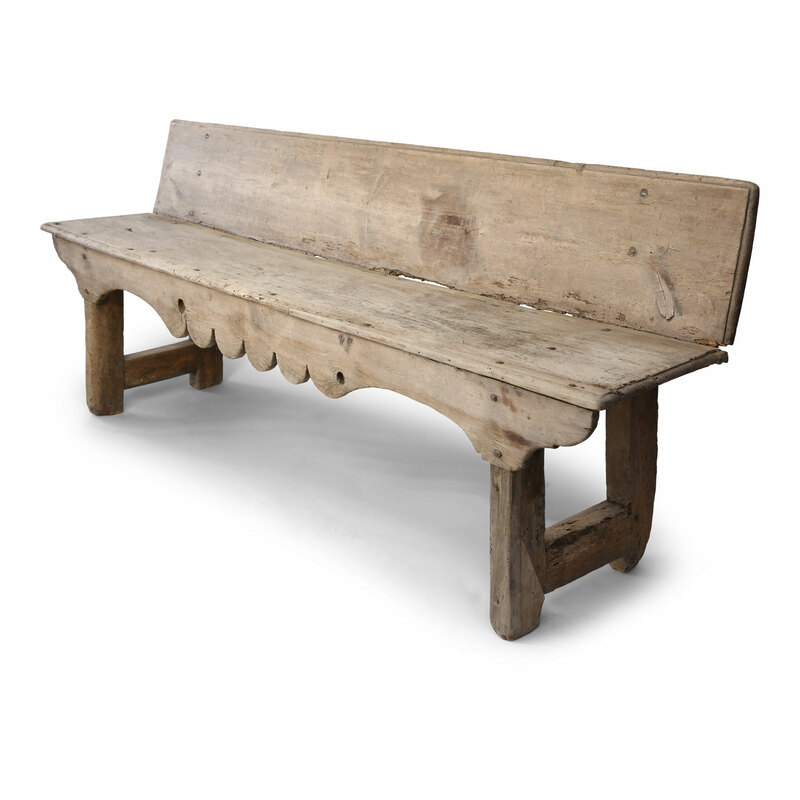 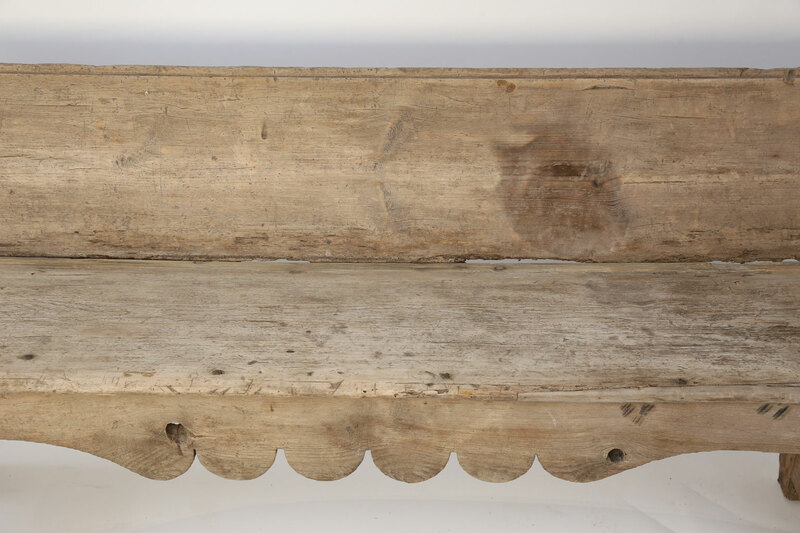 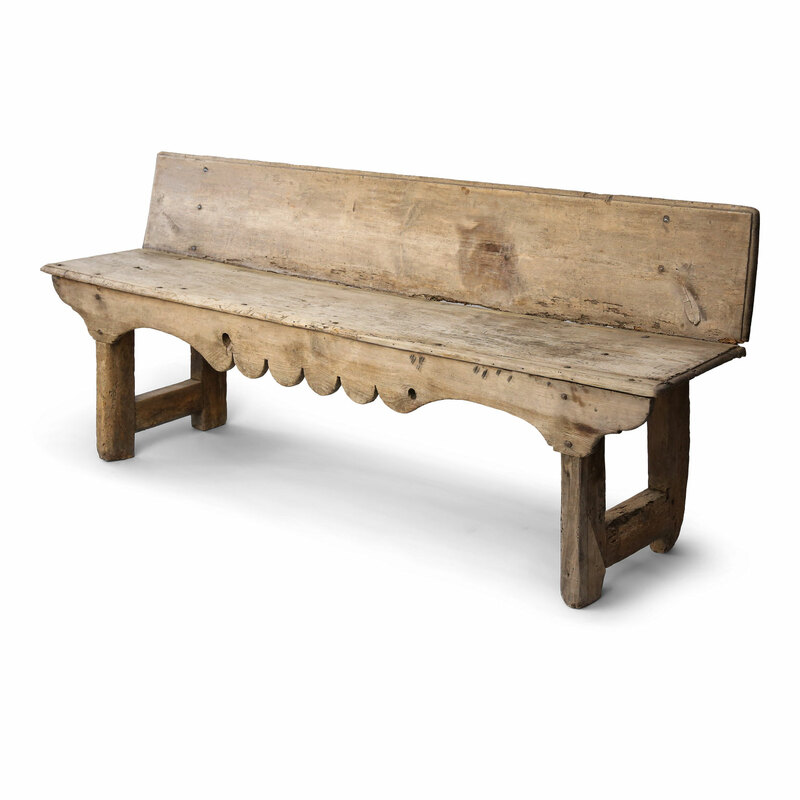 Spanish bench in chestnut and oak (circa 1770-1790). 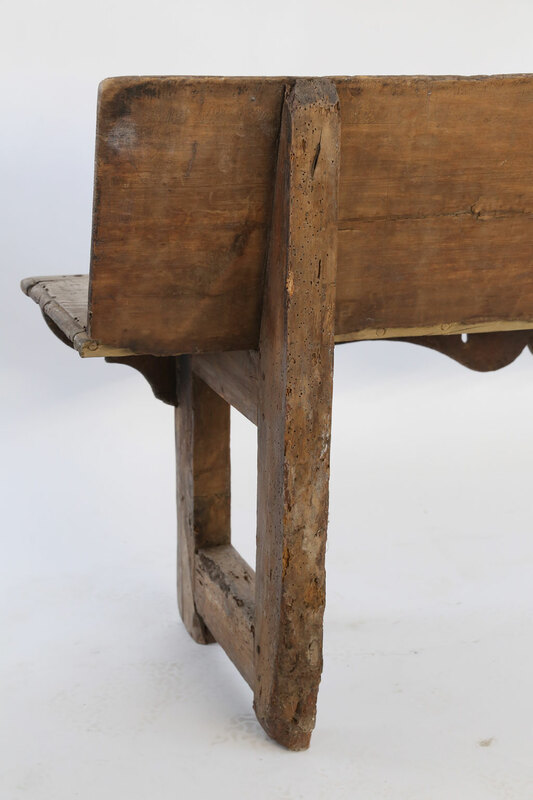 Mortis and tenon joints with some construction using fine, old forged nails. 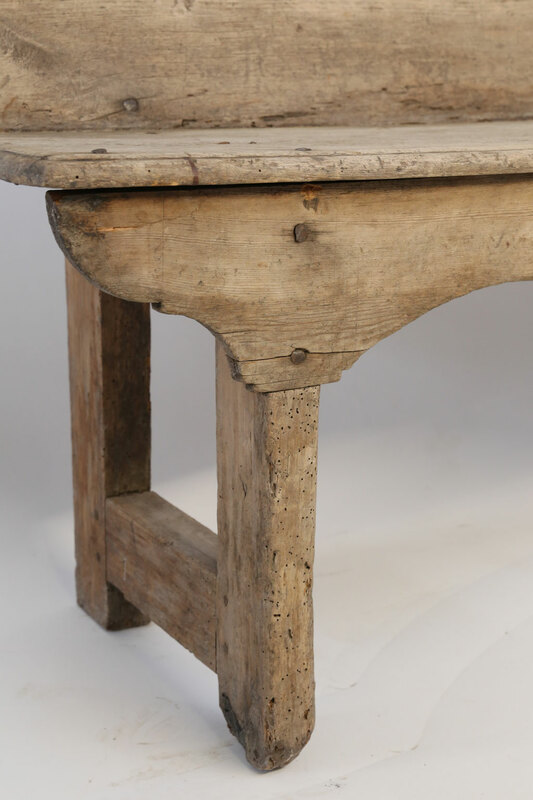 Signs of early restoration. 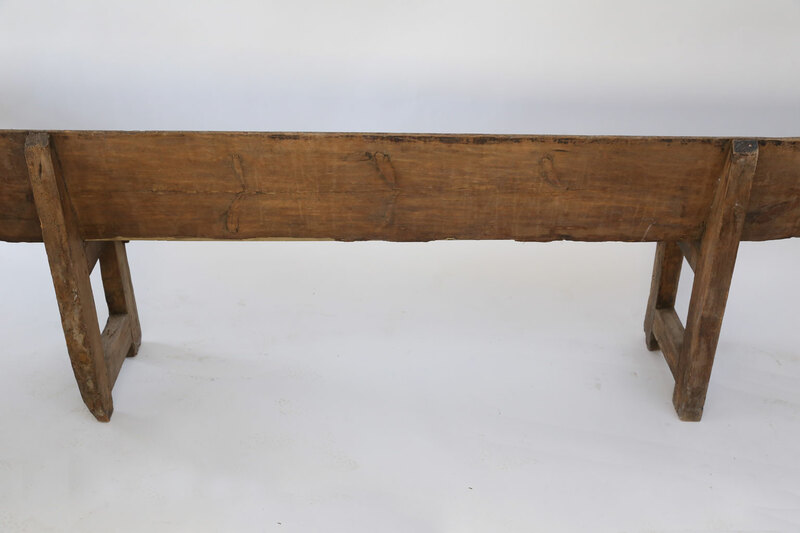 Condition: GoodSeat measures 16.5 inches high x 73.25 inches wide x 12.5 inches deep. 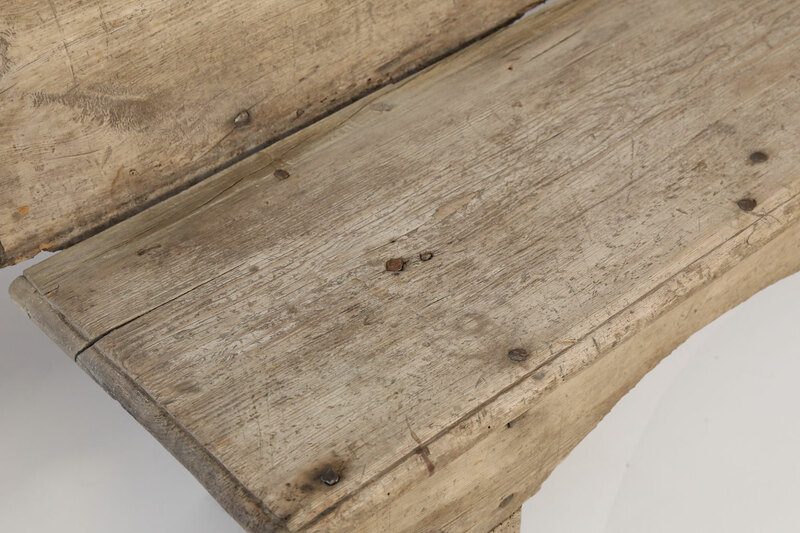 Minor losses to seat and feet. 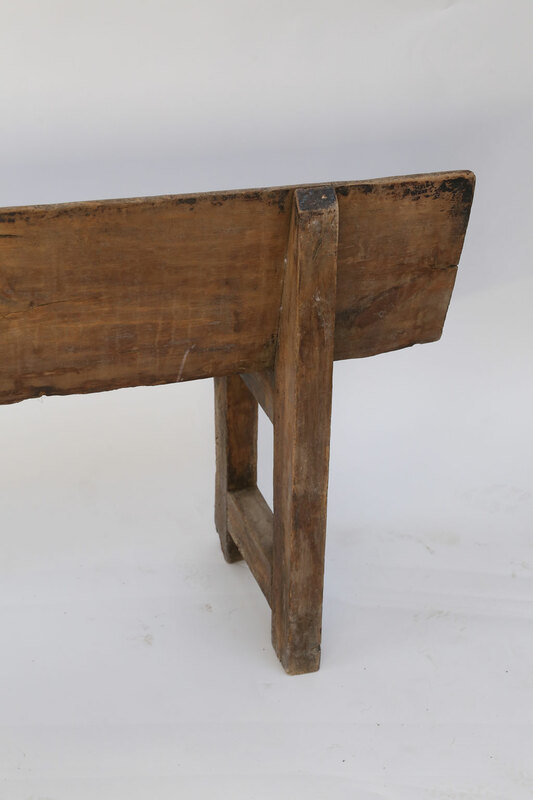 Sturdy, stable. 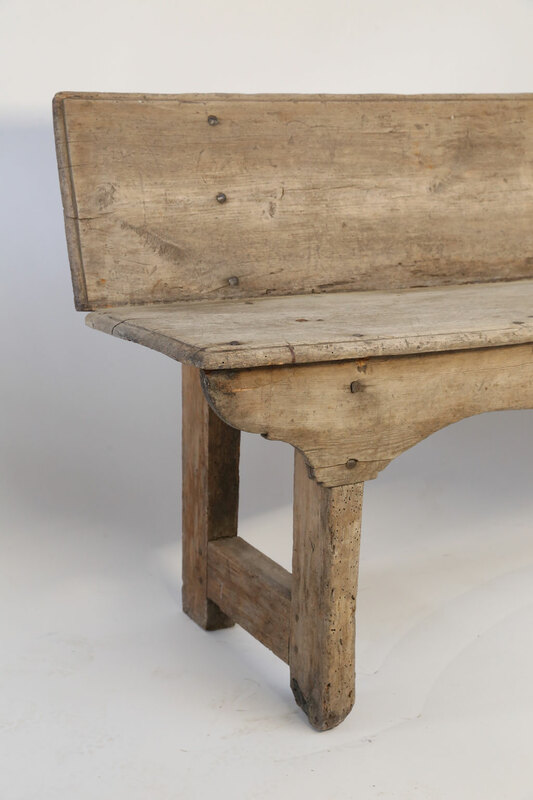 Materials: Chestnut, oak and forged iron.